A couple weeks ago, the Legends of Tomorrow folks released several character-centric digital posters to help build some buzz! Check out these Firestorm-related posters shared with TV Line. It’s nice ringing in the New Year knowing that 2016 will feature Firestorm as a regular on a TV series, and new comic stories by Gerry Conway! It might just be THE year of Firestorm! 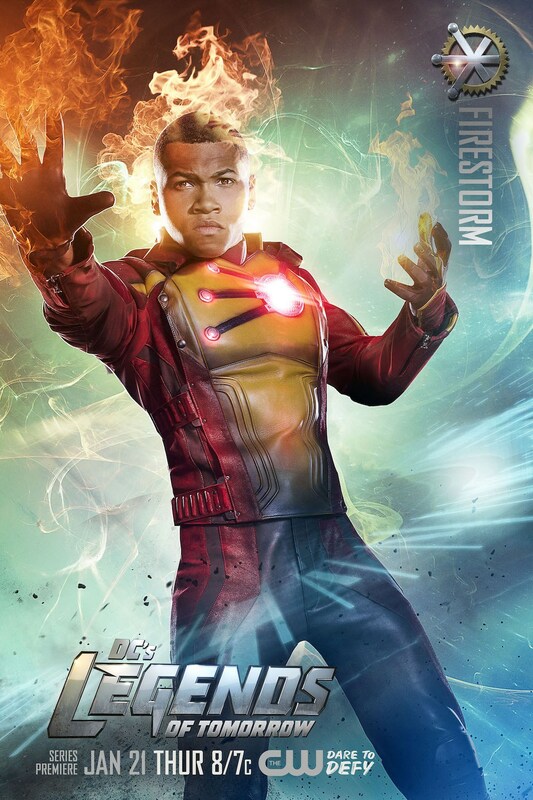 First up is Franz Drameh as Firestorm (and Jefferson “Jax” Jackson)! 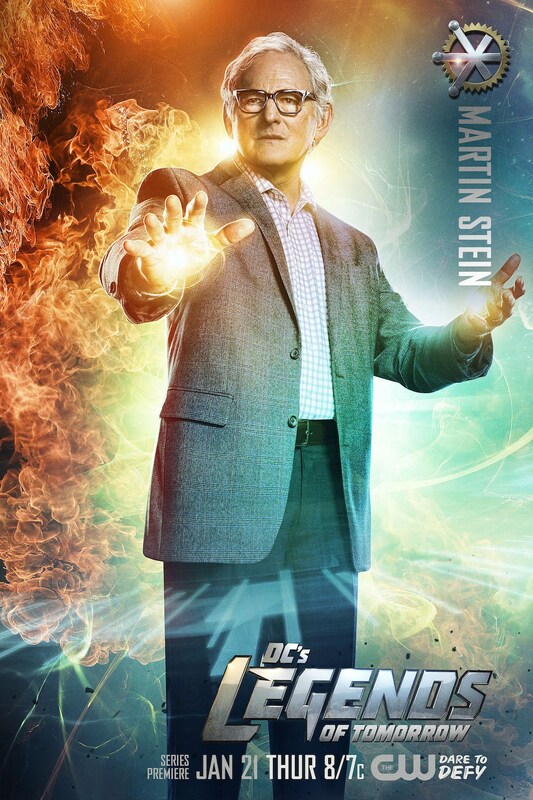 Next up is Victor Garber as Professor Martin Stein (part of Firestorm)! My thanks to all the Match-heads who sent me links to this information (and there were a bunch of you)! Y’all are the best! Support Firestorm (and Legends of Tomorrow)! Fan the flame! Posted in: Franz Drameh, Jefferson 'Jax' Jackson, Legends of Tomorrow, Professor Martin Stein, Victor Garber.